It’s already Friday and we must say that the week has been quite hairful oops we meant eventful. 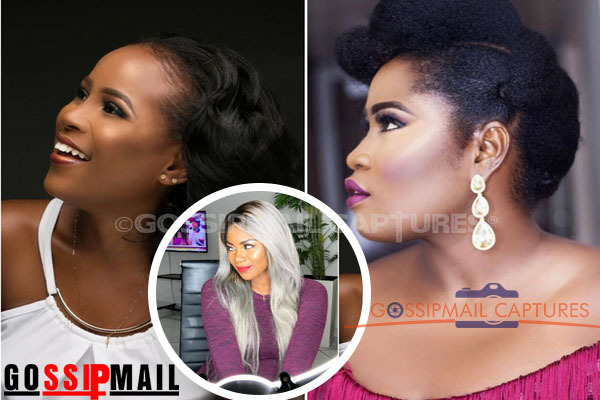 Moving on from that error, let’s turn our eyes to the beautiful and trendy hairstyles we saw on both Ghanaian and Nigerian celebrities via their Instagram accounts. Whether stepping out for an event or a simple selfie from their room and even hanging out at an undisclosed location, these women looked divine in their hairstyles. As trend-setters and influencers who command a lot of respect on social media they rocked ombre hair, braids, corn rows, bob hair and some even went for the big chop. From Yvonne Nelson to Mercy Johnson here are 10 of our favourite celebrity hairstyles of the week.